The Relay For Life Midleton takes place this weekend, running from 3pm this Saturday, 26 August until 3pm Sunday, 27 August. 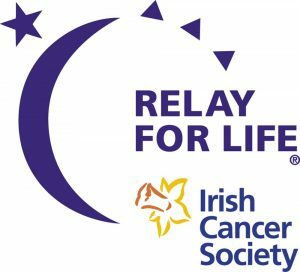 The third Relay for Life Midleton will be hosted by the CBS Secondary School and will see more than 20 teams, as well as dozens of individuals, take part in the 24 hour team-based walking relay, which raises money for Irish Cancer Society. Teams taking part in the relay generally comprising between 10-15 members with at least one member required to remain walking the course at all times. However teams are not mandatory and neither is attending the event for the full runtime. A key part of the Relay For Life is the Candle of Hope Ceremony, wherein those involved in the event remember and honour those who have been touched to cancer or lost to the disease by lighting candles inside bags of sand, which each bearing the name of a person touched by cancer, as participants walk a lap in silence. For more information or to register for Relay For Life Midleton, the group can be reached by email at relayforlifemidleton@hotmail.com.